Oh, how CUTE! It's wonderful that she's found a passion so young. Mine was the saxophone. I played for 7 years, and ended up marrying a saxophonist. 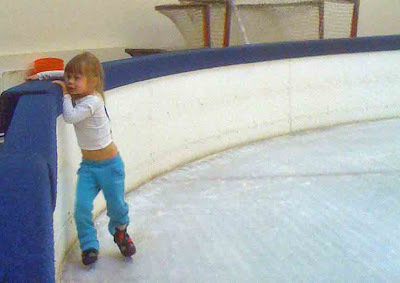 That's great that she enjoys ice skating so much AND is so good at it. I'd probably injure myself before I even got my skates on! I laughed out loud when I saw the twin's belly shirt! I'm jealous of your ice skating girls, though. That's one of those dreams of mine that never came to fruition. I'm certainly not going to try now -- broken hips/knees/ankles aren't good in old ladies! I think it is wonderful! My one daughter has much greater physical strength and control than the other and the other of course can do many other things she cannot do so well! But I think she will probably be good at sports! She has not yet decided on a passion yet! That is great that your daughter has found something she loves that much. Even if it means sitting for hours at the edge of the ice rink for you. 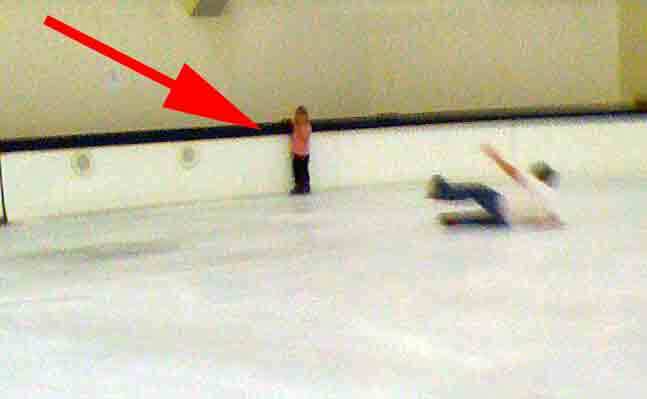 When we took my kids ice skating, they not only held on to the edge the entire time, they screamed that they were going to DIE if I made them let go. Not sure when we will do that again. What a great mommy you are to support her new passion. If she is that talented, let her go for it! It's amazing what kids can do when they find something they truly love. I hope she sticks with it! You've got an Olympic athlete on your hands!